The idea of meeting Santa Claus never came cross my mind. It was E, someone who believes in Christmas, told me that Santa was real. So I have to check it out myself. 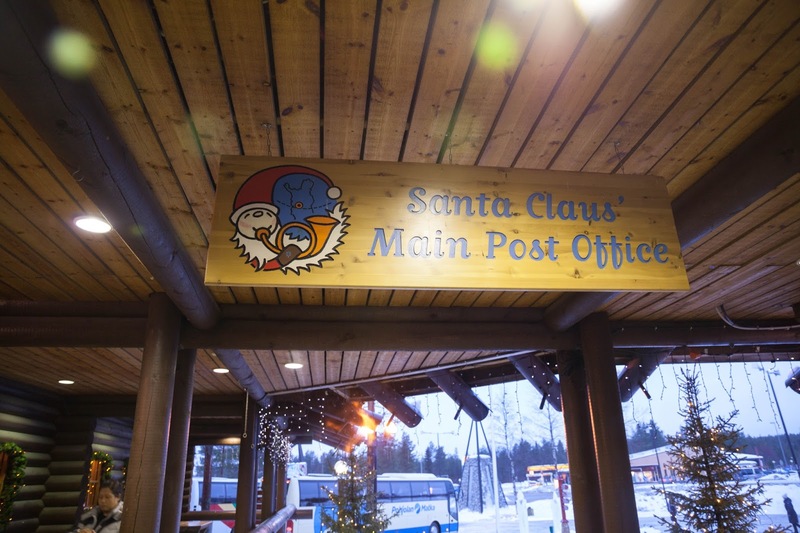 On Christmas day, we spend the our whole day in Santa Claus village writing post cards to my love ones, meeting Santa Claus, taking reindeer ride as well as crossing the arctic circles and getting a stamp in Santa Claus Village, Rovaniemi. 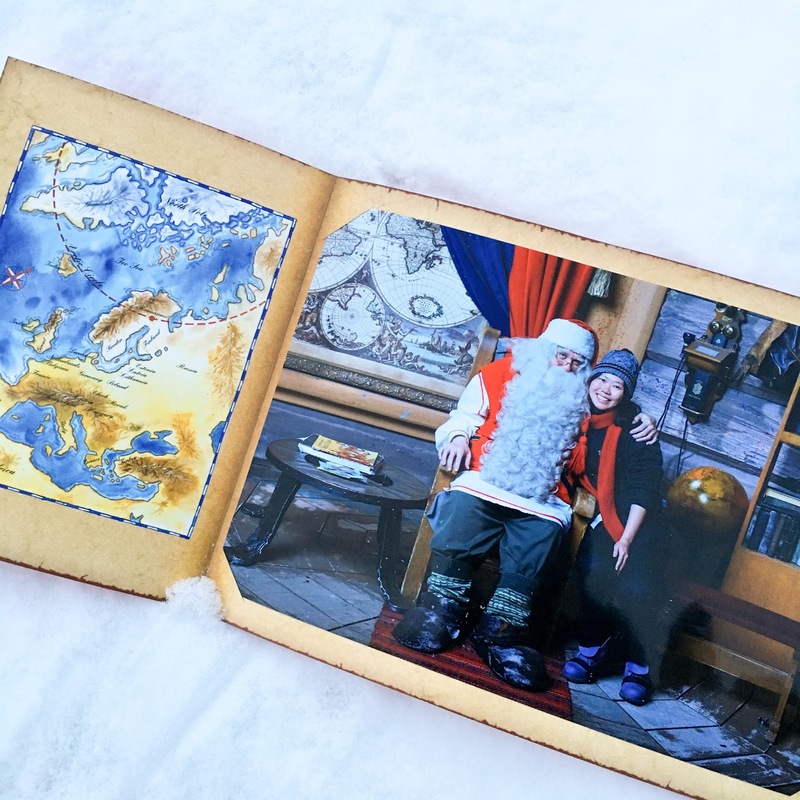 It is said that Santa wants to safeguard his hiding place and decides to frequent the Artic Circle to meet people who love Christmas and the Artic Circle near Rovaniemi is one of the place he will go. 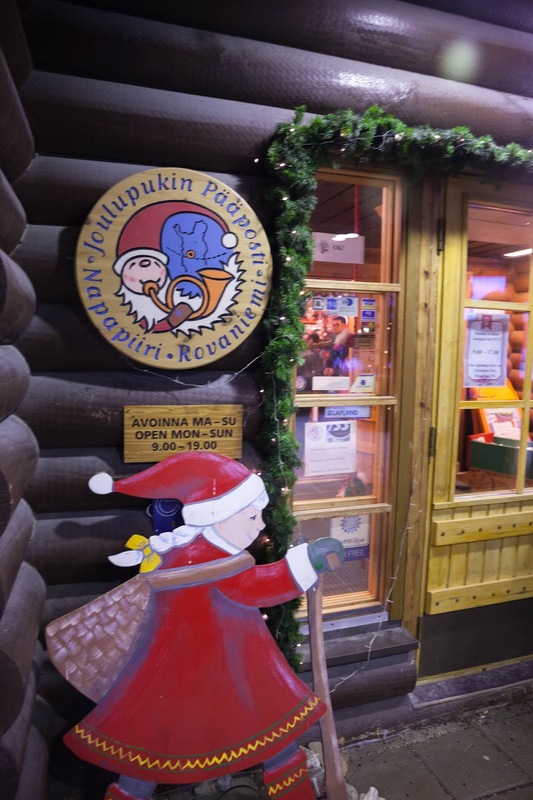 Soon, the Lappish center for Christmas soon became the “Santa Claus Village” that everyone wants to go. 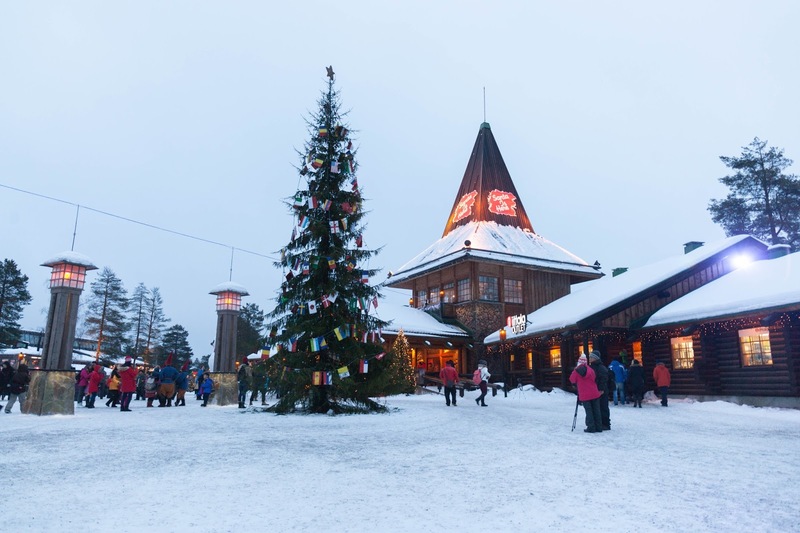 With the help of Finish tourism board, Finland market Lapland as the official home of Santa Claus. 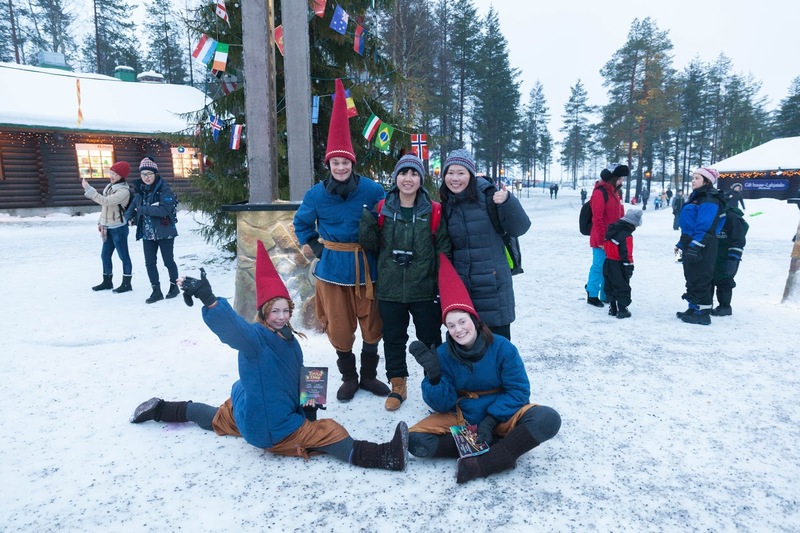 Some say it is all advertising gimmick by the Finland tourism board and it is too commercialize but sometimes all we need is to have the child-like mind in life. Don’t we? 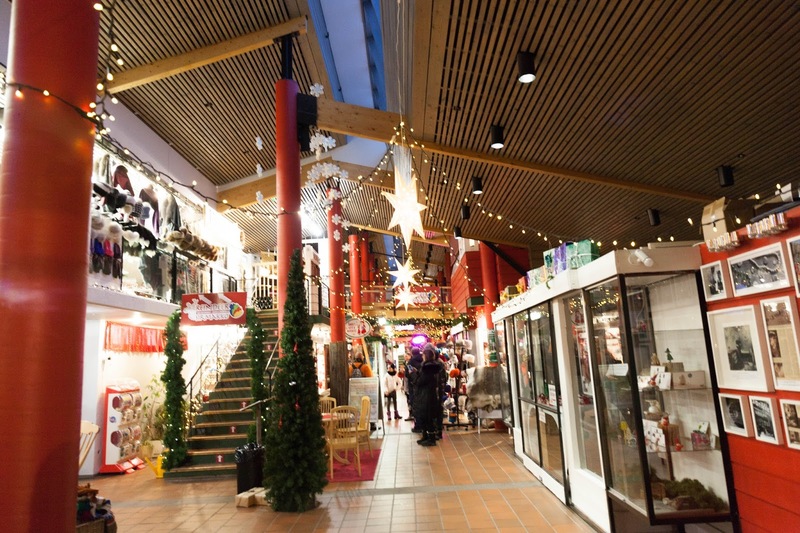 Take Bus 8 from city centre ( near Mac or Santa's Hotel Santa Claus). Alternatively, you can check out the route and schedule for Bus 8 here. It is recommended to purchase return ticket as it is cheaper. 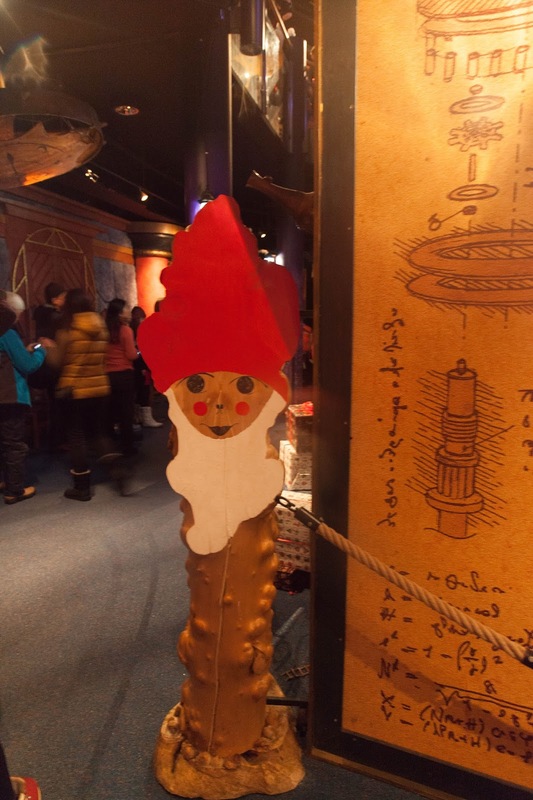 We spent quite some time writing post card and sending our love from Santa Claus Village. 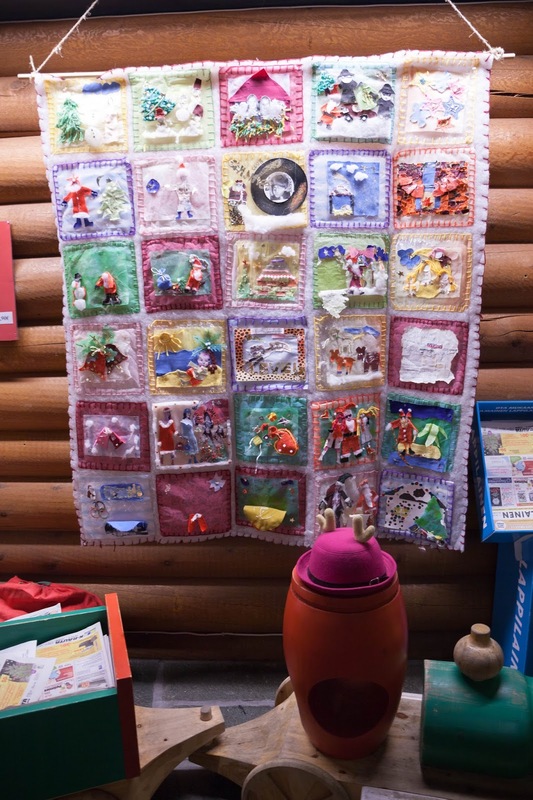 Although writing postcard is a tradition that I will do when I travel but writing a postcard from Santa Claus Village is very different. It feels more special! No doubt this is definitely one of the best gifts to give to your love ones cause my girls are super happy when they received it. Plus, all mail sent out of the post office are complete with a “Artic Circle” postmark. 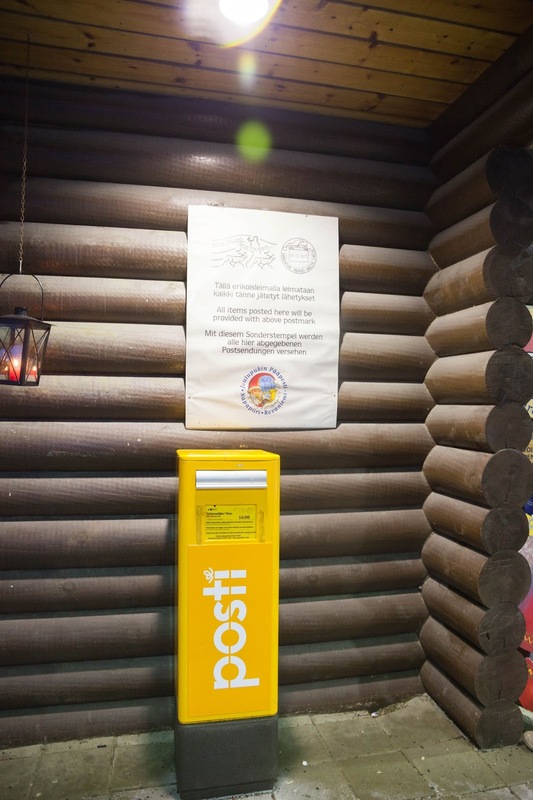 Stamps are sold at in the post office for 1 euro for normal stamps. Stamps with fanciful design range from 1.50 - 1.90 euro. Post card range from 1 euro to 3 euro and you can purchase it from any gift shop. 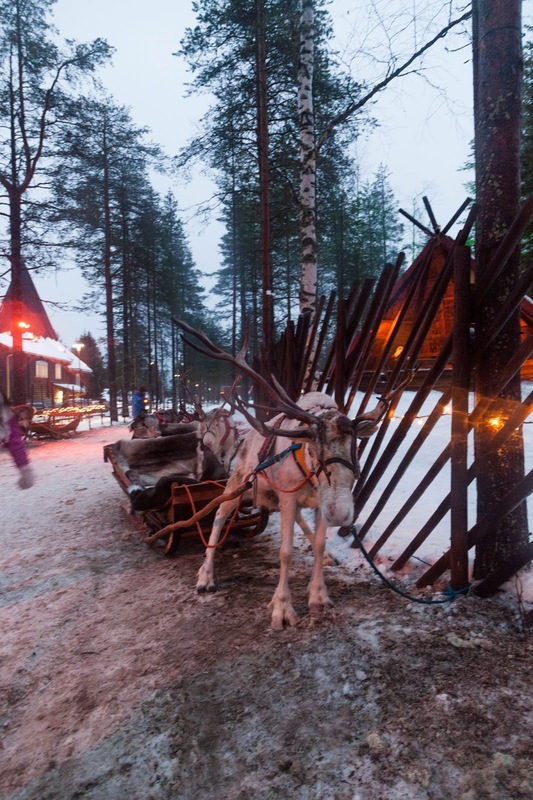 There are many reindeer day tour package to choose from and we are thankful that there is one in Santa Claus Village. 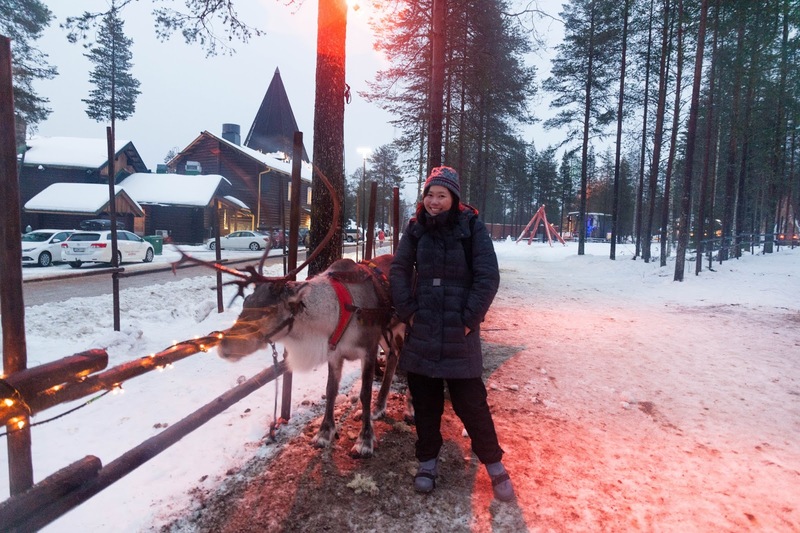 Although it is a small scale reindeer safari, we had a great time there! The reindeer are so cute! 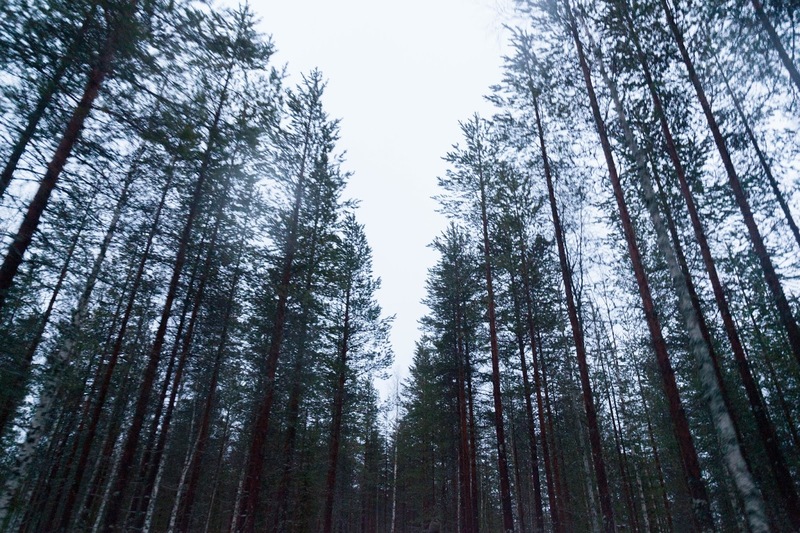 Slow and steady, they took us into the woods and out. We choose the 1000m – 28 Euro for a quick ride into the safari. Although a little short, we thought it was enough. 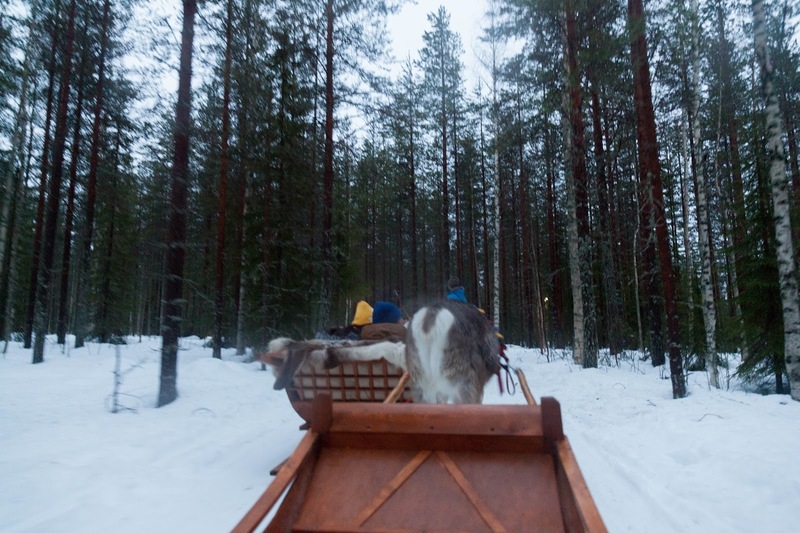 There are different duration for reindeer ride - 400m, 1000m and 3000m. 3000 and above requires to be book in advance to avoid disappointment. Business is good with Santa! It is best to make online reservation before heading there. Alternatively be there early to get a time slot. Be ready to wait 1 hour for him. Hard copies Photos are sold at 30 euro & 40 euro for soft copies. 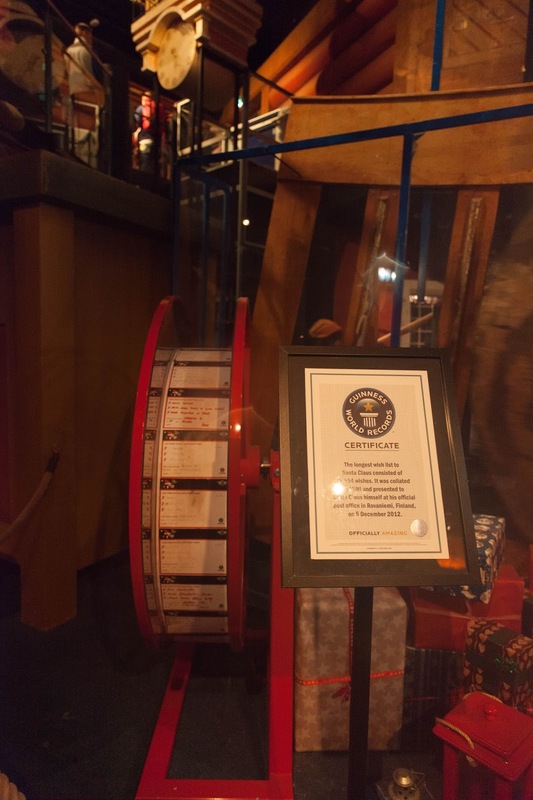 We crossed the arctic circle and got ourselves a stamp and a certificate! 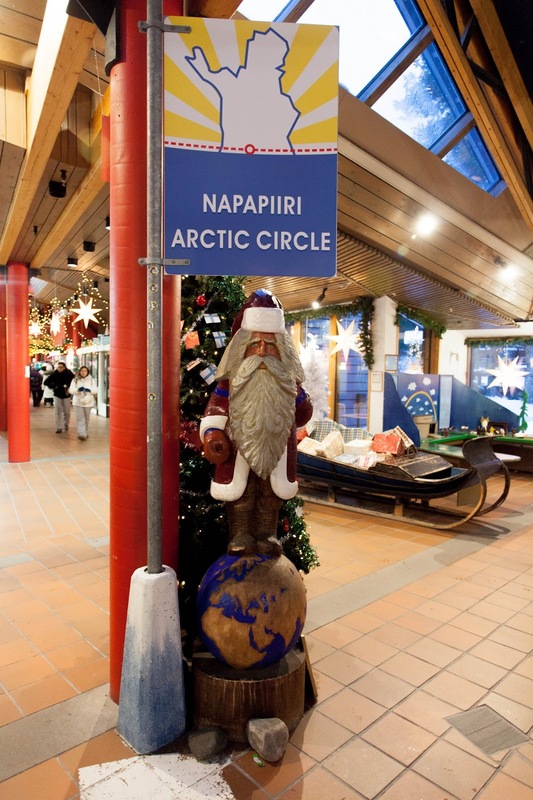 Although the Arctic circle always move but let's not spoilt the fun! We queued for almost a hour to get the stamp and certificate so it is best to be there early. 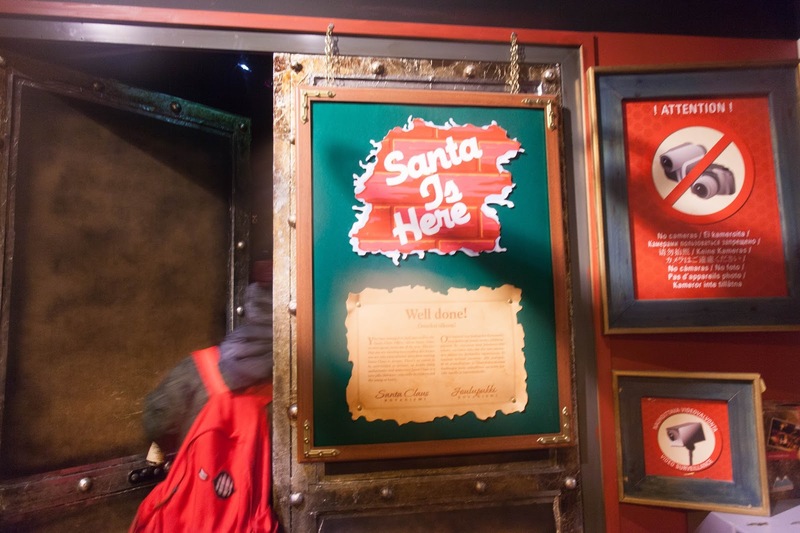 I have heard that some lapland tour do provide the certificates when you travel with them. So you may want to check them out! 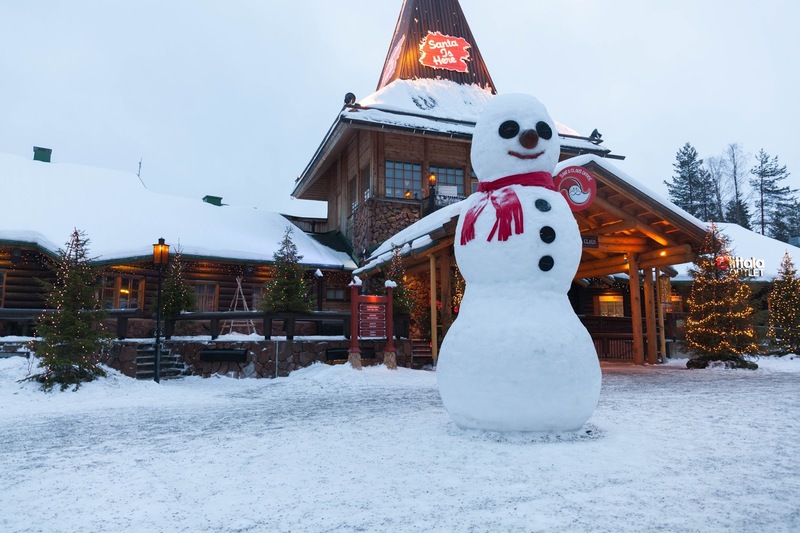 Although Santa claus village is pretty touristy and you have to queue and pay up for everything, it is still a magical place to be in. Not for those with adventurous soul but definitely for people who are in love with Christmas. Signed up the tour with hope to witness the magic. Geared up and was brought up to the highest place in Rovaniemi. It is said to be the best location to view the aurora borealis. Thus we hike up the hill, got our camera ready and camp there. 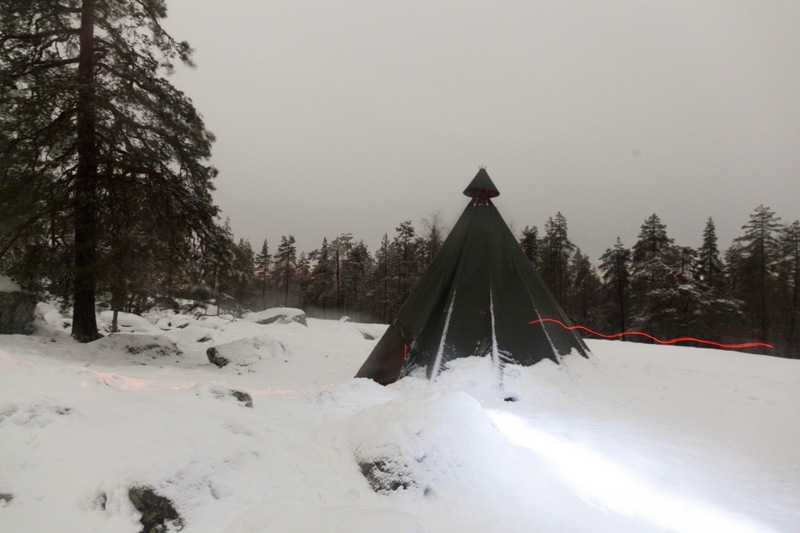 While waiting for the sky to be clear, tutti hut was being set up by the guide. 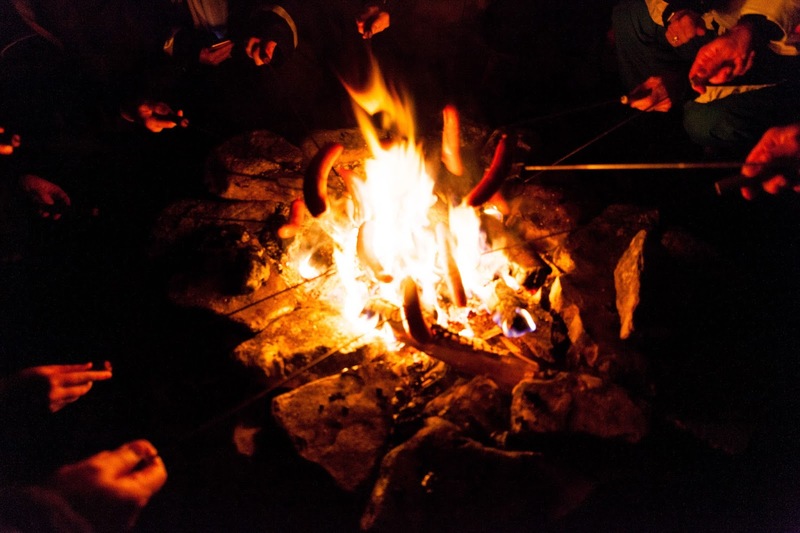 Grilling sausages and playing Finnish traditional game is another way to spend the night. Pretty interesting! Sadly, the clouds were too thick when we were there for Two nights and we left without seeing any. Better luck next time! After 3 day 2 night stay in Rovaniemi, we end our trip saying goodbye to the magical place by roaming around the place. Not a big place but it is too beautiful not to be forgotten.